CEO Takahiro Hachigo: "Honda is undertaking new technologies such as electrification and intelligence technologies." TOKYO -- Honda is taking the rare step of shuttering a Japanese assembly plant as it rearranges its domestic factory footprint to shift manufacturing expertise toward electrified cars. In closing its aging Sayama assembly plant, Honda will consolidate operations around the nearby Yorii plant, one of Honda's newest. Work at Sayama will wind down by March 31, 2022, and its workers will be transferred to Yorii and other plants, the Japanese company said Wednesday. Yorii, which opened in 2013, will be positioned as a worldwide center for developing cutting-edge manufacturing technologies as well as new techniques for producing electrified vehicles. Both plants operate near each other in the Saitama prefecture just north of Tokyo. The move tackles two issues for Honda: overcapacity at Japanese factories and a need to crank out more electrified vehicles amid more stringent emissions standards. 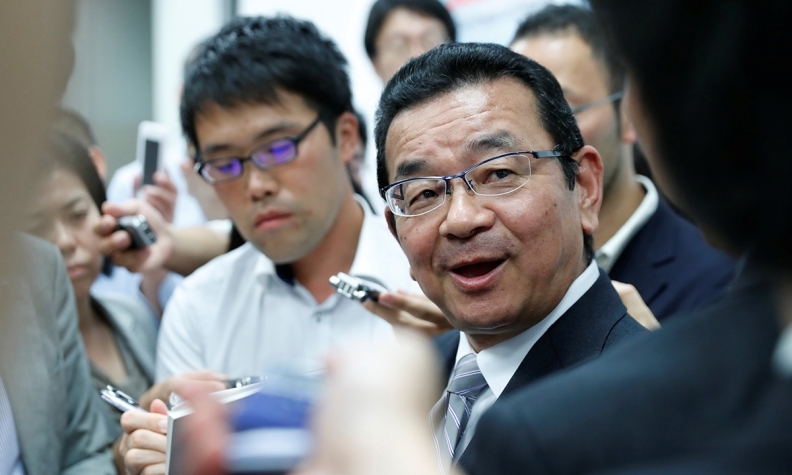 Honda will dramatically improve factory utilization rates in Japan by closing Sayama. And it will also move closer to its goal of getting two-thirds of global sales from electrified vehicles by 2030. "Honda will largely evolve its production operations and product development," CEO Takahiro Hachigo said at a news conference outlining the plans. "The automobile industry is undergoing an unprecedented and significant turning point in history. That's why Honda is undertaking new technologies such as electrification and intelligence technologies." Closing an assembly plant is a rare occurrence in Japan, where the government pressures companies to preserve jobs and maintain a deep manufacturing foothold. Bigger rivals Toyota Motor and Nissan Motor are among the most vocal in trying to buoy Japanese output. Hachigo said consolidating to Yorii and shuttering Sayama, which opened in 1964, would require new investments and outlays, but he said it was too early to estimate a cost. "We need to increase manufacturing power here in Japan to increase global production efficiency," Hachigo said. "Due to changes in the market situation, we weren't able to grow domestic sales as much as anticipated and we are in a situation where we cannot grow exports."